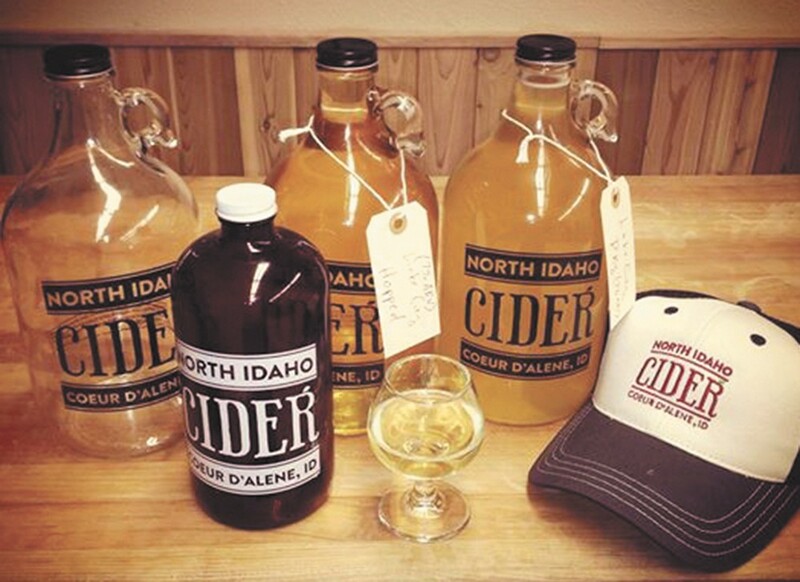 North Idaho Cider comes by the glass or the growler. How many apples does it take to produce a 12-ounce glass of cider? Four, according to Greg Thorhaug, who did his homework before launching North Idaho Cider with wife Mara late last year. A former engineer who worked in geographic information systems for the National Park Service and the Bureau of Land Management, Thorhaug has spent the past four years studying every nuance of cidery. He can tell you, for example, how hard cider sales have increased in the U.S., especially in the Northwest, Northeast and around the Great Lakes states. And that sales have more than quadrupled since 2004 to nearly 17 million gallons in 2012. He — with Mara alongside him — also sampled ciders from around the world firsthand on a 2011 backpacking trip through such places as Scandinavia, Eastern Europe, Africa, the Middle East, Southeast Asia and Australia. "I think I've found my calling in life," wrote Greg on the blog he created to document his travels. "The culture, the pour, the flavor of slow fermented, bone dry and tangy hard cider." Their Lake City Dry, for example, drinks like a good Riesling wine. Their Renaissance is made from 25 traditional cider apples including Kingston Black, Dabinett and Yarlington Mill, all grown in Idaho. And their Lake City Hopped signals a newish trend with crossover appeal to beer drinkers. Besides tasters ($4), you can order a 32-ounce grunt ($14), 64-ounce growler ($20) or even a portion of a barrel — a 40-pint sixth of a barrel ($99) or a half-barrel ($225) — from their tasting room near the Coeur d'Alene Airport. Around Coeur d'Alene, you can try North Idaho Cider at the Filling Station, Capone's (midtown and Hayden), Scratch, Crafted Tap House, Bardenay, Fort Ground Grill and Wolf Lodge Steakhouse.